After a report surfaced on the Lord of the Rings fansite TheOneRing.net speculating that District 9 director Neill Blomkamp might be taking over as the director of the LOTR prequel, The Hobbit, dozens of media outlets parroted the report, and began weighing his benefits and drawbacks as the keeper of the Baggins flame. 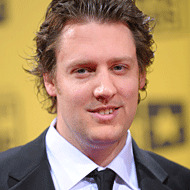 But an insider at his agency, William Morris Endeavor, confirms to Vulture that not only is Blomkamp not doing the movie, no one from MGM/United Artists or Warner Bros. has even contacted them about his directing the film. In the meantime, Blomkamp is working on Elysium, an original sci-fi script of his, for Media Rights Capital, the same outfit that backed Sacha Baron Cohen’s Bruno. Elysium’s storyline is closely guarded, and it is understood to be set on another planet, not the Shire.